It’s not just fashion, food and wine that the French do well. In recent times they’ve made pretty good cars, and lately they’ve made an exceptional one. Not only has Citroen’s new C3 Aircross got all the style and flair we’ve come to expect, but thankfully it also boasts the amazing 1.2 litre engine. How amazing can a 1.2 litre engine be? Glad you asked. How does ‘International Engine of the Year’ sound? Good? Now how about the fact that it held that title in 2015, 2016, 2017 and 2018? You won’t believe it until you try it, and you’ll soon see why it’s so celebrated. 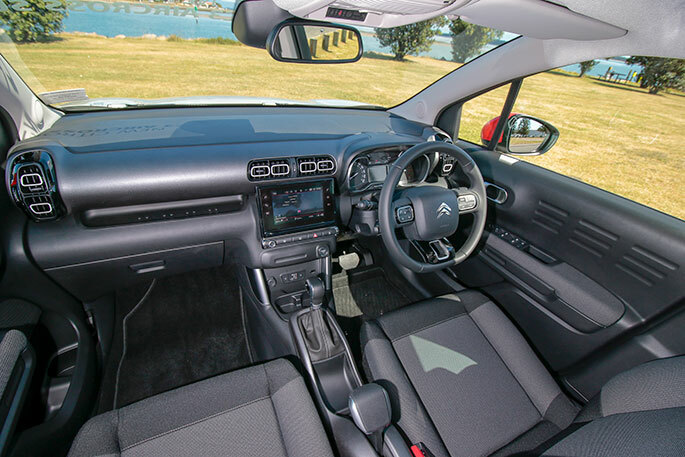 The C3 Aircross is Citroen’s crossover SUV - bigger and roomier than its C3 sister but capable of driving just as well. It looks just as pretty too, different to anything else on the road, and it’s almost a little bit aloof. This is a vehicle that knows it looks good. Highly customisable, with eight different body colours, three different roof colours (including Ink Black as standard, Natural White and Spicy Orange) and three exterior colour packs, which includes external trim such as side mirrors and spotlight surrounds, it isn’t difficult to make this vehicle uniquely you. There’s even five different interior style options as well. The C3 Aircross is a breeze to drive. It’s like a puppy around town, tackling the inner city streets like they’re a playground, but out on the highway it becomes a comfy, stylish, grown-up cruiser. There’s no shortage of features either. The seven-inch touchscreen features not only Apple CarPlay and Android auto, but 3D satellite navigation, a 180-degree bird’s eye reversing camera with 360-degree memory, front and rear parking sensors, Bluetooth connectivity, an MP3 Stereo with six speakers and USB and aux points. But it’s not just the visible technology that counts. The C3 Aircross comes with a five-start ANCAP safety rating, thanks to the technology you can’t see. 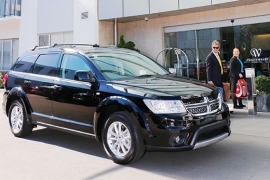 Among the benefits are six airbags, auto emergency braking, ABS, parking sensors, a front collision warning system, speed limit sign recognition and – wait for it – a coffee break alert! How cool is that? The alert aids driver attention – or lack of it as the case may be. After two hours of continuous driving over approximately 65km/h, the car tells you it’s time for a break. The driver attention alert also kicks in when travelling over 65km/h, and gives you a nudge if it thinks you’re not paying attention. You can keep on going straight and true with the lane departure warning, cruise control and speed limiter, which keeps you a set distance from the vehicle in front up to your set speed. This car is an all-round star, and the PureTech 1.2 litre, three-cylinder turbo-charged engine is phenomenal. Coupled with six-speed automatic transmission, moving away from a standstill feels like you’ve got the heart of a V8 under the hood. The highly adjustable and very comfortable seating is a dream for journeys, and there’s more than enough room for the pack in the back, whether they’re adults, children or furry friends. Your new Citroen also comes with all the threes! Three years of servicing, a three-year warranty and three year roadside assist cover, meaning three years of carefree motoring and many more after that. But what if you could get all of this and keep your granny? 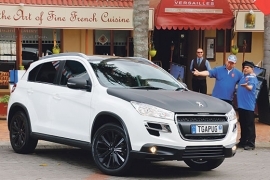 Granted you can still sell granny if you wish, but the C3 Aircross starts at just $34,900 + ORC. 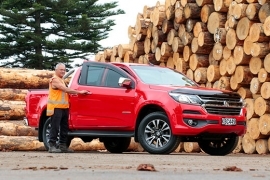 Several no-cost options are in place to help make it your own, and the optional extras are sensibly priced for what you get. For example, the ‘Hype’ mixed leather and cloth ambience and seating option is just $1500. Only one model is available, so that keeps things nice and easy, meaning you simply choose your level of customisation to suit your personality. 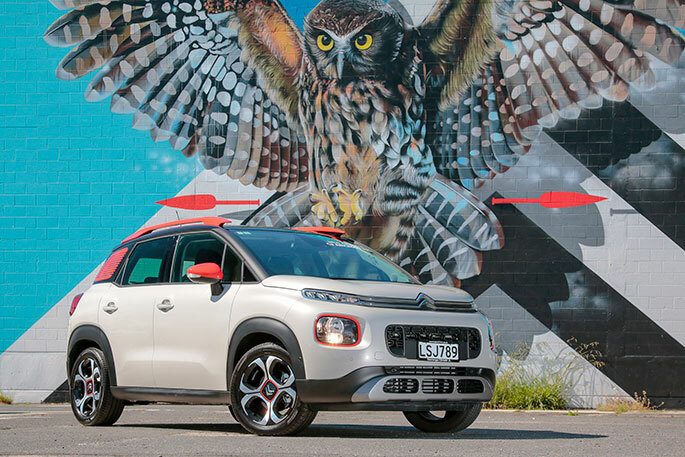 Whether you’re straight laced or a little on the quirky side, you’ll find a C3 Aircross to suit. As an all-round package, you’d be hard pressed to find an alternative to the C3 Aircross. Its sensible size, roomy interior and great luggage space, combined with top performance and tiny fuel consumption of just 5.7 l/100kms makes it a fairly easy choice. Call in and visit the lovely people at Tauranga Citroen on Cameron Road, but be warned. 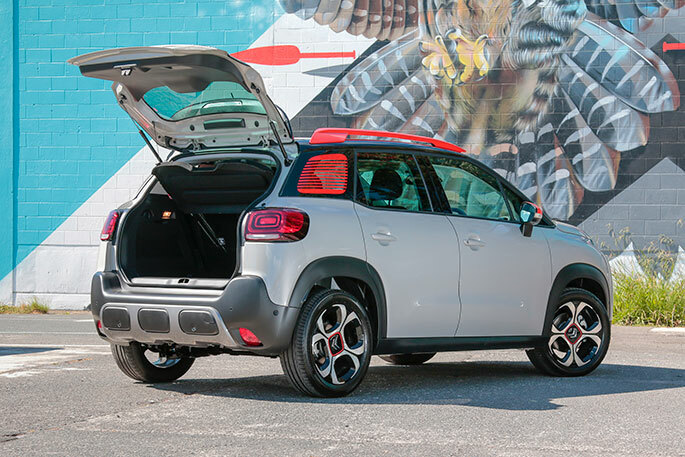 You might love the C3 Aircross so much that you walk away with two. Trust me, no one would blame you.